CHICAGO, October 13, 2018	(Newswire.com) - It’s 7 A.M. at Chicago O’Hare International Airport. Attorney Bryant Greening pulls his brightly colored, fully-wrapped “Law-Mobile” into the airport’s rideshare staging lot, where Uber and Lyft drivers are relegated to wait for fares. As the sun peeks over the horizon, there’s a noticeable tension in the air. The drivers look exhausted, annoyed, and defeated – sometimes waiting more than an hour for a ride request. Greening wastes no time popping his truck, only to reveal cases of coffee and doughnuts. Within seconds, drivers rush the car for a free pick-me-up. That’s when Greening’s work begins. Double back to airport staging lot, where Greening is pouring coffee and serving pastries. Innocuous chit chat quickly transitions to legal consultations. “Uber’s telling me they won’t pay to fix my dented passenger-side door,” one driver discloses. Greening’s arms uncross, and he becomes animated, explaining how to open a property damage claim and sift through insurance policies. “I ran a red light; is my passenger going to sue me for her medical bills?” a man questions. Greening pulls a business card from his jacket as he explains the ins-and-outs of negligence law, liability insurance, and rideshare regulations. Close your eyes, and it's easy to imagine the rideshare staging lot has transformed into a legal library. “I knew Uber and Lyft’s rapid expansion would lead to difficulties for passengers and drivers. What I didn’t expect was the companies’ unwillingness to provide useful information and recourse,” Greening said. 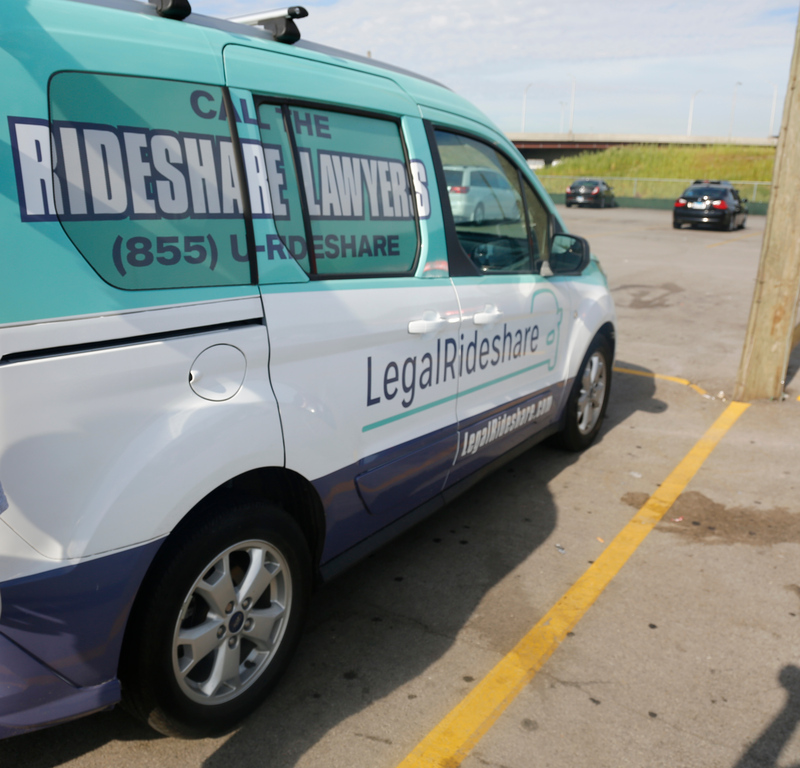 "That’s why LegalRideshare was born: to be a voice for passengers and drivers when they had nowhere else to turn."